It’s difficult to escape allergy season, but you can get a bit of relief within your own home by taking measures to reduce allergens. At Aaron Services, we go after seasonal allergies and common allergens for our customers who choose to use our heating and cooling maintenance plan service. Here are 5 things allergy sufferers can do to reduce allergens in their homes. 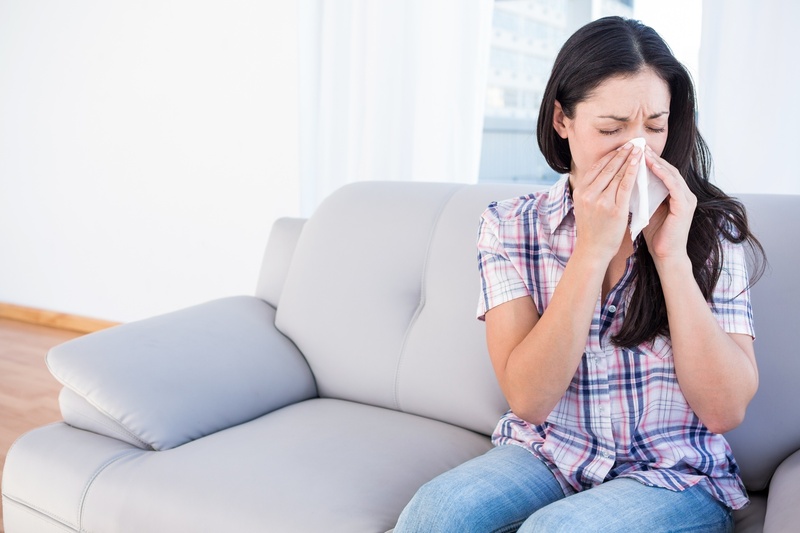 The air in your home is filled with allergens that can trigger an allergy attack. Things like pollen, pet dander, mold spores and dust mites linger in the air, causing itchy eyes and sniffles. These particles can be reduced through annual HVAC maintenance. A professional will replace your air filters, and also clean and remove dust and buildup on your air conditioner and in the HVAC system, instantly improving air quality. Cooling your home with open windows in the spring may save you money, but the practice can also wreak havoc on allergy sufferers. Allergens come through the window and cover nearby countertops, furniture, and other items in your home. Instead, use your air conditioning system. Along these lines, try to hang clothes to dry inside a room with good ventilation if possible. The last thing you want to do is have clothes covered in allergens against your skin. Mold is a major trigger of allergy symptoms. You can combat mold by getting rid of excess moisture after you shower with a squeegee or towel and using the fan in your bathroom. You should also regularly clean the walls, floors, and fixtures in your bathroom and check for plumbing leaks. Humidity is not a friend to allergy sufferers, so keep your home’s temperature cool enough to cut through humidity. Many allergy sufferers are better off not having plants or pets in their home, but there are many options that will cause little to no symptoms. Try putting potted plants outside and finding more hypoallergenic alternatives for inside your home. If you already have a pet, consider making your bedroom off limits to avoid sleeping in dander and other allergens. Every surface in your home needs to be cleaned regularly if you want to keep dust and other allergens from collecting. You can greatly reduce allergens in your home by simply putting things away. Consider storing games, toys, off-season clothes, and other items in plastic bins to protect them and cut down on the amount of dusting you need to do every week. What better motivation to organize your home that to reduce your allergy symptoms?